It is first post of the year, dudes! I was wondering how you guys spent your Christmas and New Year? Mind to share? 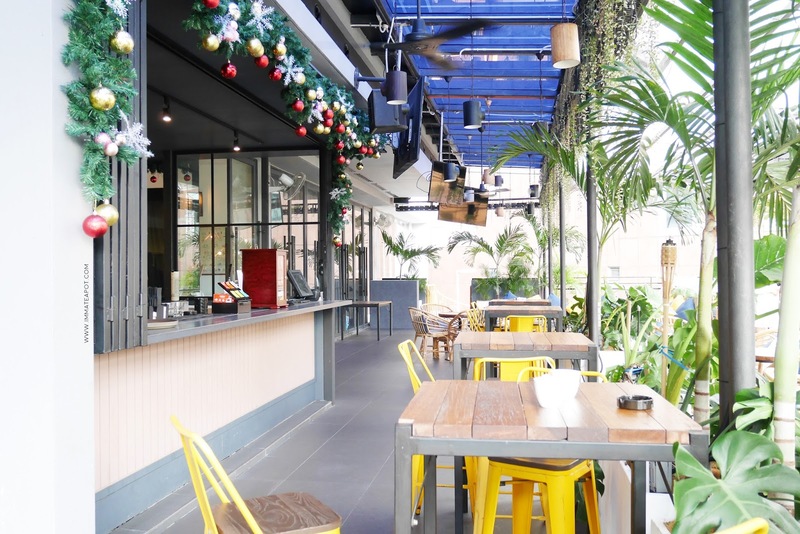 Even Christmas has passed yet the Christmas vibes isn't over yet! I just can't forget how I celebrated Christmas earlier with all the butterflies in KL Journal Hotel few weeks ago. It was definitely a memorable one. We used to have dinner celebration every year, with some gift exchange activities yet there was something different for this year. Yes! More amazing collaborations are coming to the community! 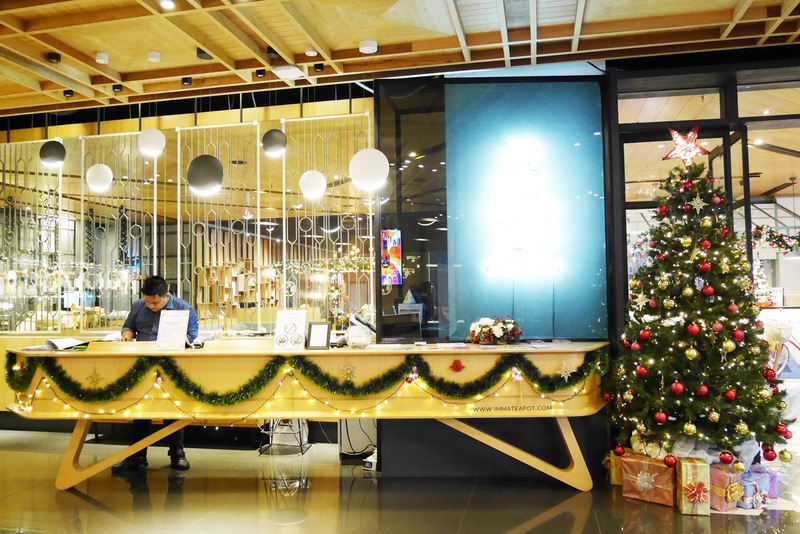 This time we were having a Christmas staycation in KL Journal Hotel in collaboration with Traveloka. Yup! I was so lucky to be one of them! 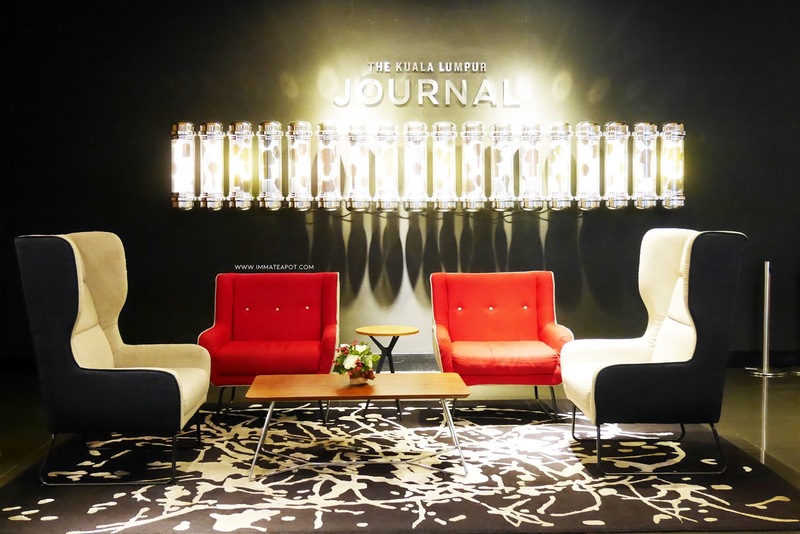 This was my very first time having a staycation in KL, spending an indeed great night at KL Journal Hotel, a stylish boutique hotel which is like a hidden gem in the hustle bustle city, near Bukit Bintang and Pavilion. I love staying in boutique hotel as they come with unique theme and they have a lot of great spots for photos. 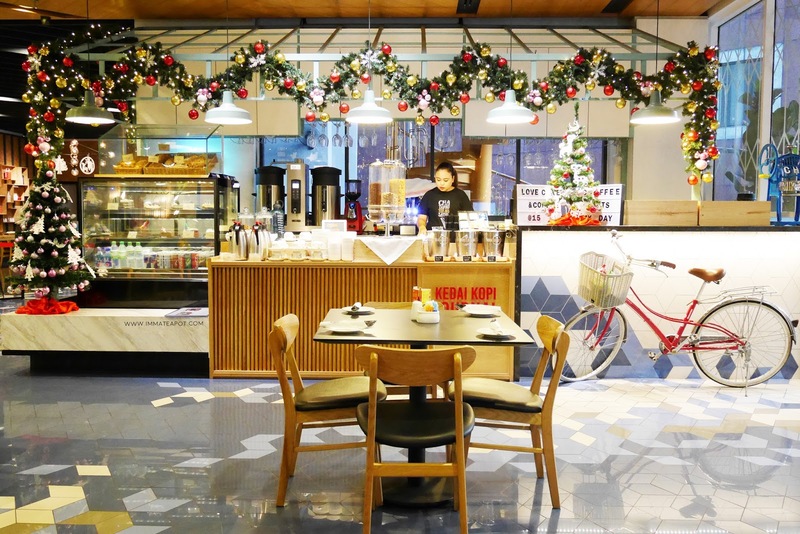 This is the hotel lobby, that we can clearly feel the interior design inviting relax vibe where nostalgia meets industrial chic, modern yet vintage. 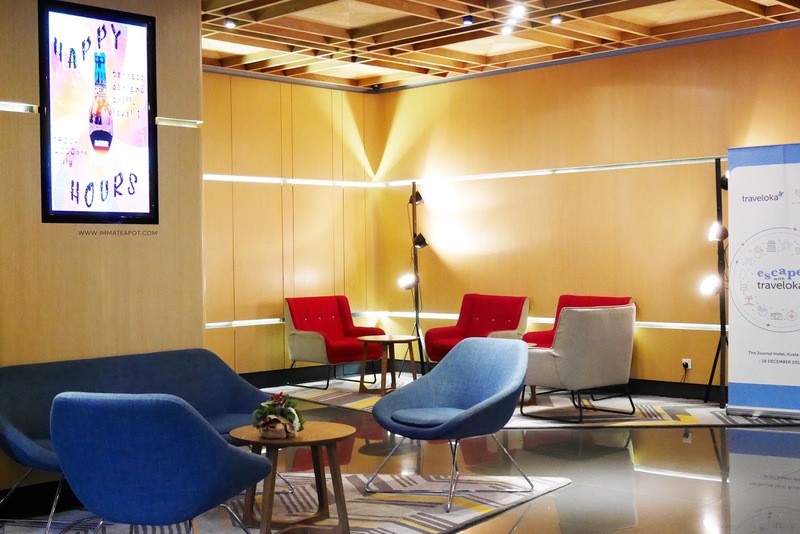 The waiting zone, where customers can chill a little while waiting for check-in. Reception desk which was so christmassy! 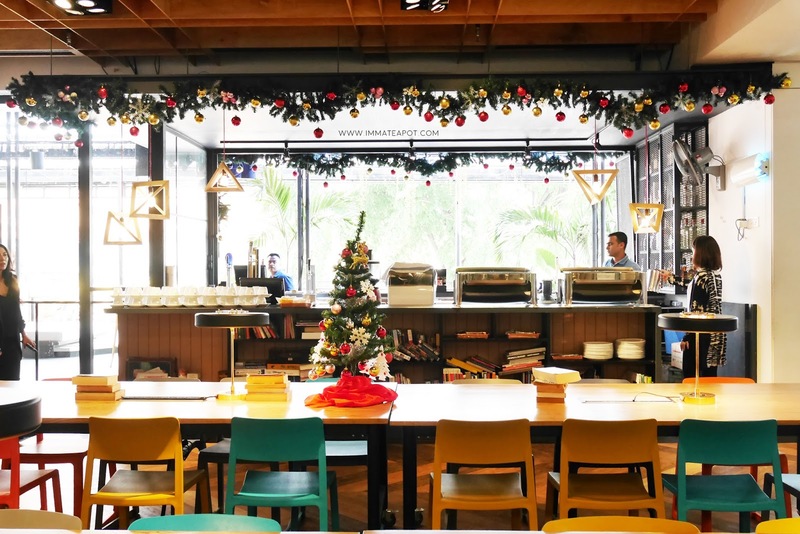 Loving every single corner here in the Kedai Kopi Journal, there were so much Christmas elements in this old school coffee shop! This was where all the butterflies gather around for lunch and dinner, it was so spacious that it can accommodate up to 40 of us. 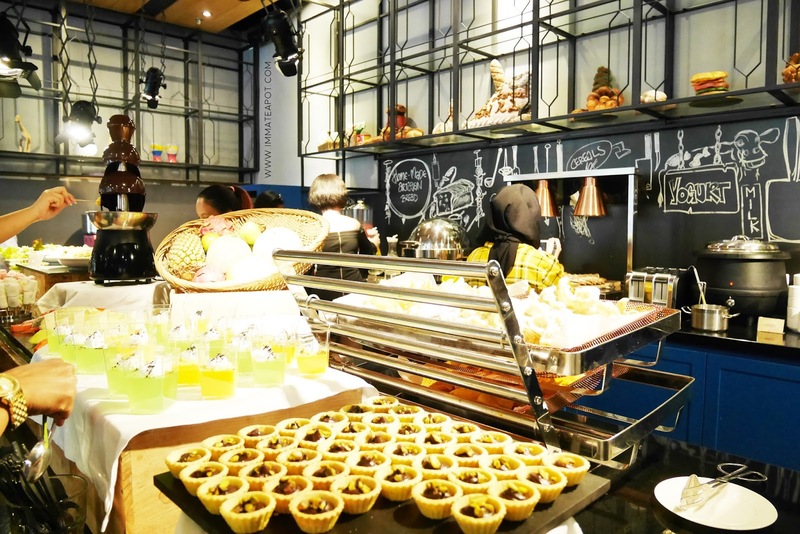 They serve variety of food, even the chocolate fondue! How cool! 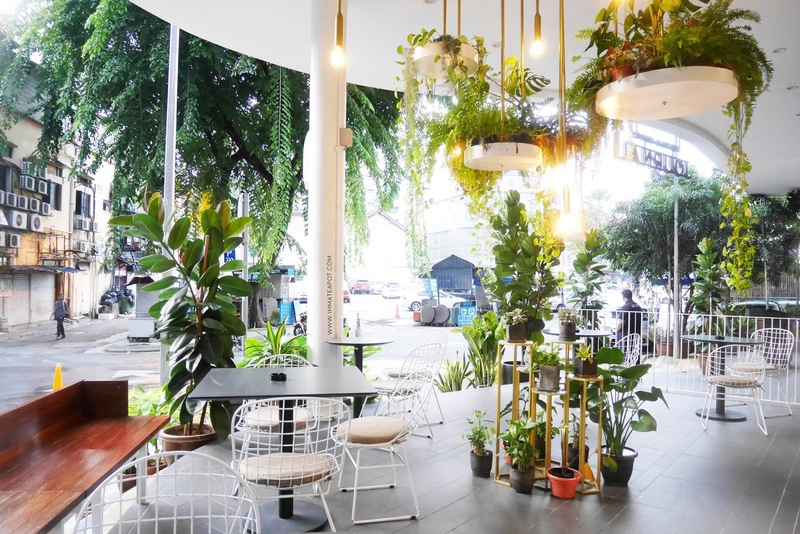 Here's an open space area outside Kedai Kopi Journal, where you can get some fresh air and relax. 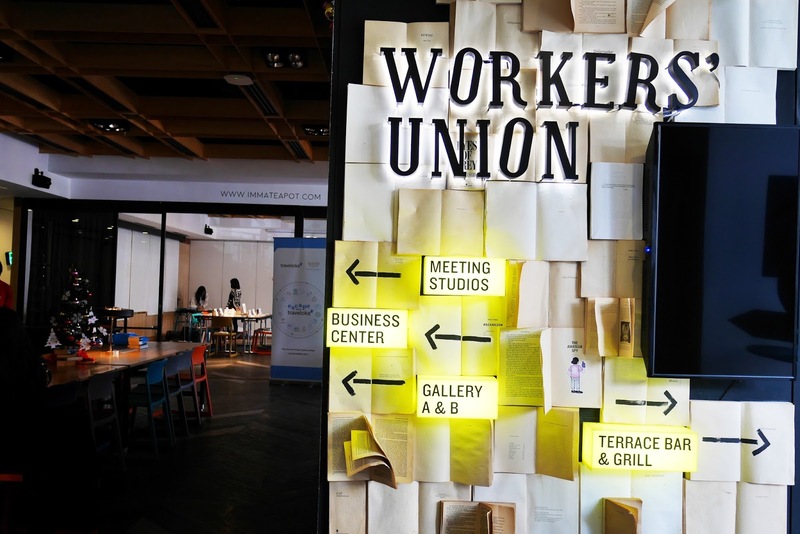 For meeting or events, this is just the right place for you - Workers' Union. 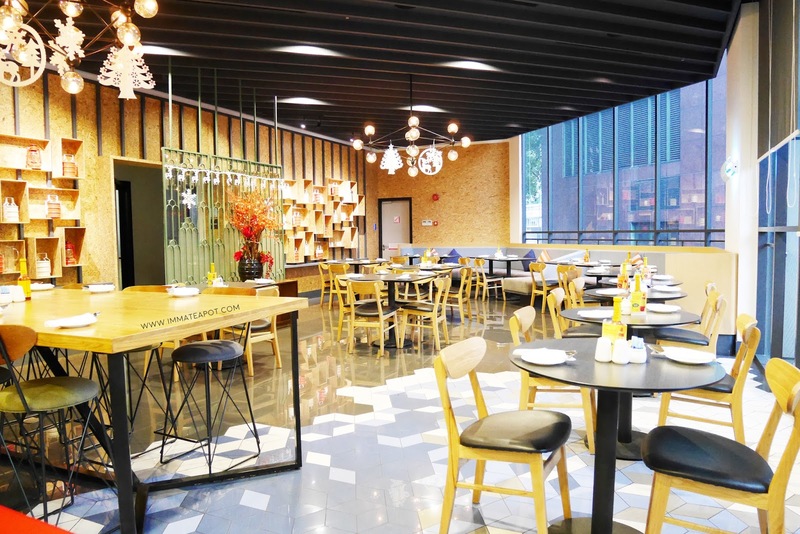 It can accommodate up to 100 persons. There are 3 studio rooms and multi-function galleries for some small discussions, events, workshops or gatherings. 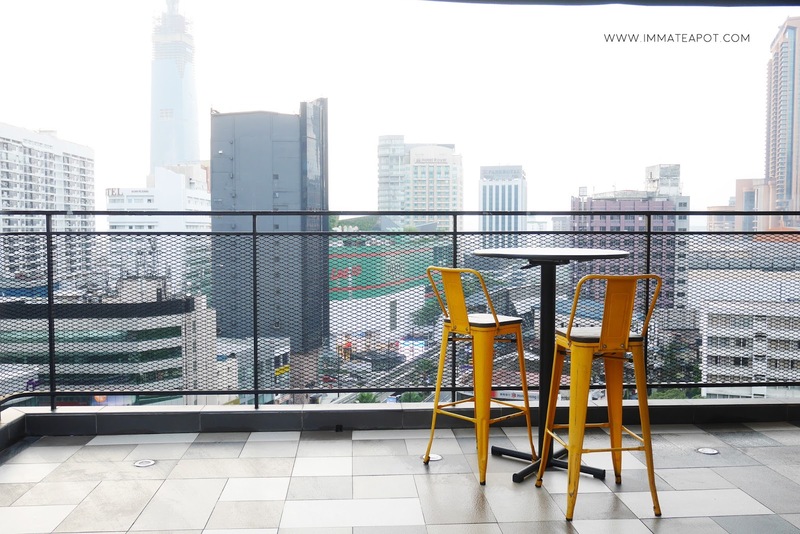 This is definitely a much relaxing and flexible space for brainstorming and discussion. Skip the formal working space because it may restrict your mind! 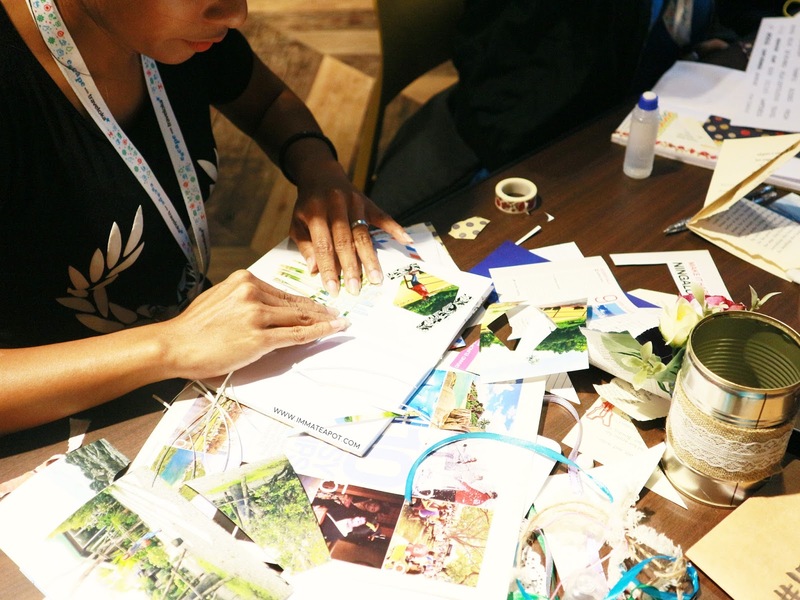 Let your mind and ideas flow freely by changing your working environment! 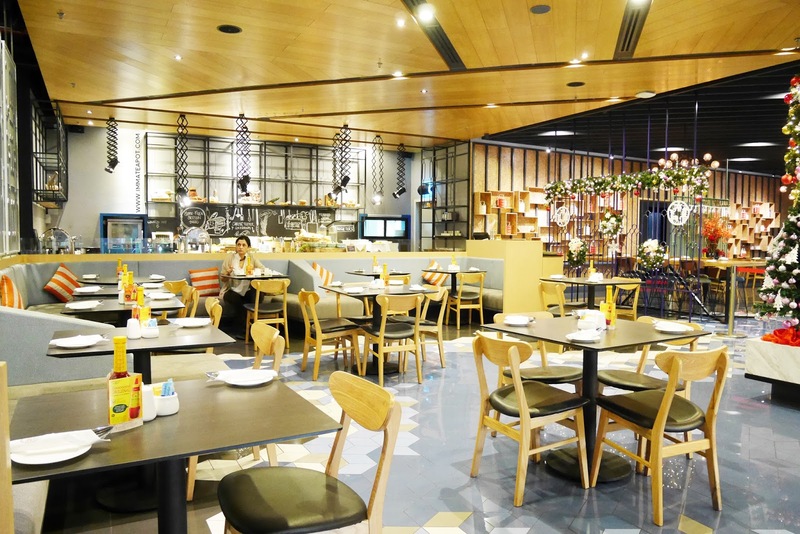 You may just grab some refreshing coffee, or even having some light refreshment as a quick bite beside while having meetings. If you need some fresh air accompanied by the lush green, you may just have a walk at the terrace. 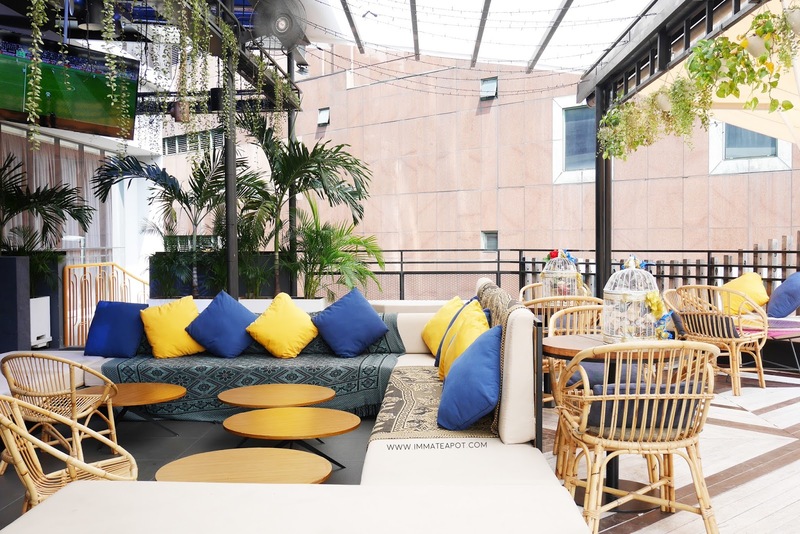 After some tiring discussion, there is an open bar with great ambiance and comfy lounge for you to chill with your friends. Sometimes, there is even a live band, you may just have some music accompanied throughout the night! 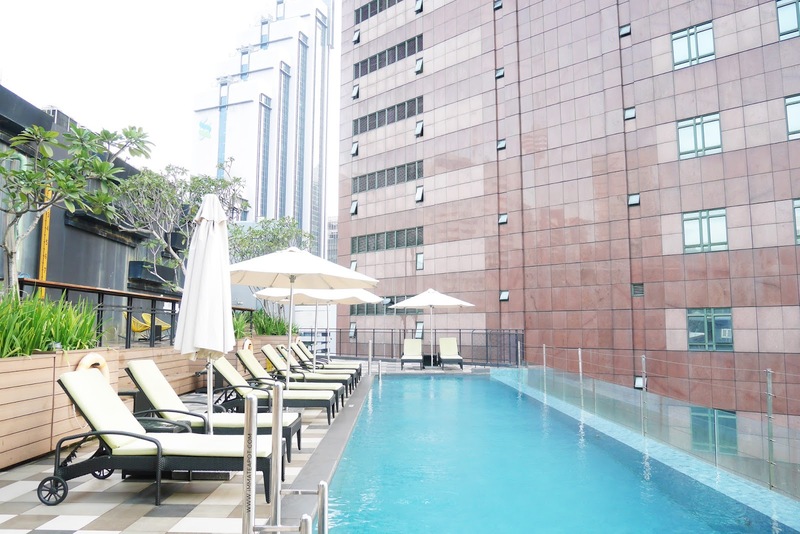 At the rooftop, there is an infinity pool, accompanied by skyscrapers and gorgeous city views. It is much perfect to have a night swim while enjoying the city night sceneries. Those who doesn't swim, nah here's a place for you to chit chat a little with your mate and of course never miss the beer. 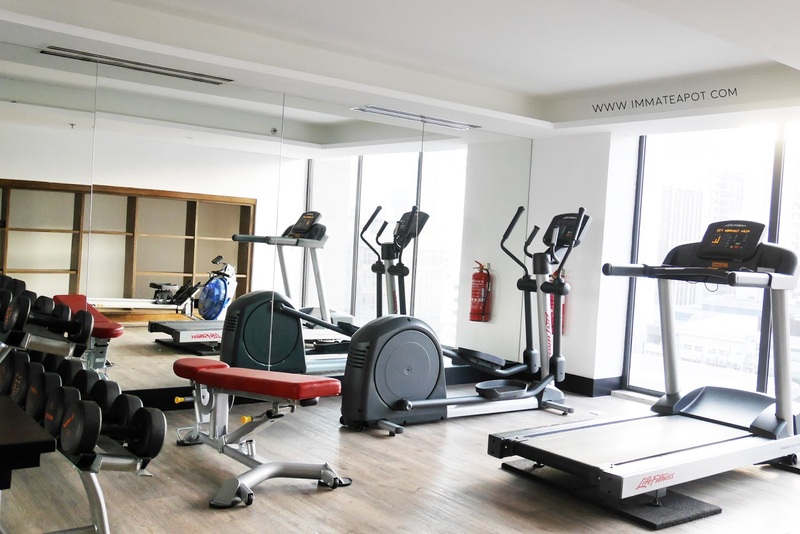 Some of you may just hit the gym, to tone up a little after some food hunting in the city. I love the washroom so much! It's so roomy! So thoughtful because the washroom comes with hair dryer LOL It is essential for a girl! 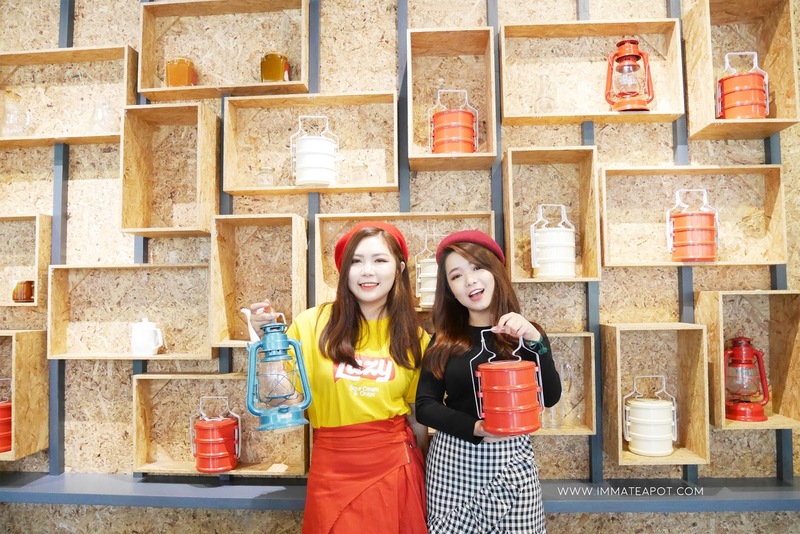 After getting sort of a full view in the hotel, we have joined some interesting activities that held by Butterfly and Traveloka. We have some ice breaking sessions, to get close to each other, as our community is expanding! There are more newcomers and time to make more friends! 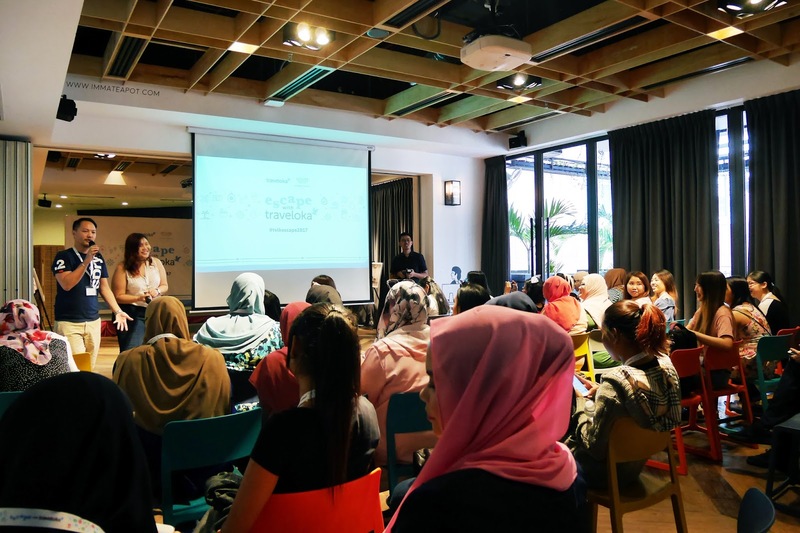 I love being in the community because all of us get to gather around, sharing the same interest and passion in blogging. Thanks to the community for giving us so many opportunities! 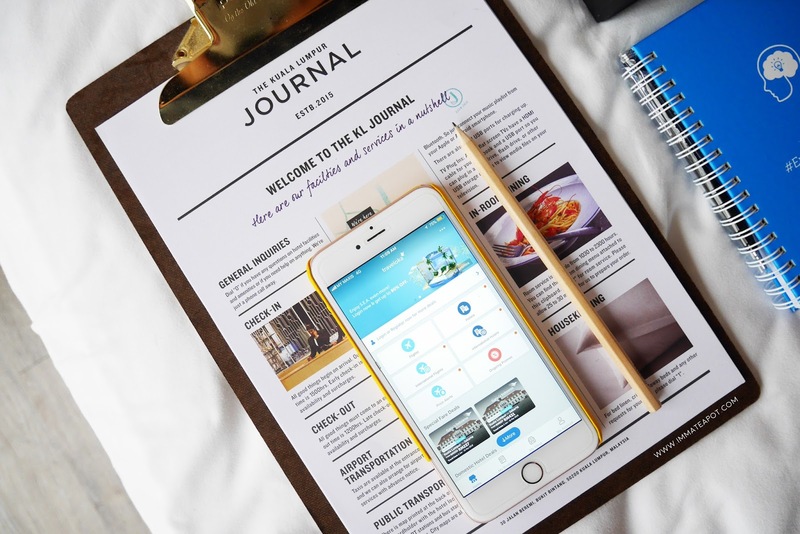 After ice breaking, we were introduced to theTraveloka apps that we get to book our room in just a few clicks! With wide selection of airlines and hotels, in definitely honest and best price! Book, pay and get your e-ticket in 1 minute! How cool! If you are wondering why Traveloka? FYI, Traveloka, being an Asian company, it is one of the leading flight and hotel booking platforms that serves more than 100,000 flight routes and hotels worldwide, with everyday cheapest price and real guest reviews! Beside, it offers tons of great deals or even Smart Combo Feature that we get to enjoy 40% off of a round trip ticket! Trust me! Good things are meant to share! After the tiny briefing workshop, it's time for lunch! Chency and I decided to explore more insta-worthy places in the hotel after our lunch. Surprisingly, it didn't disappoint us at all! Here's a wonderful staircase! We headed to our chosen workshop right after our exploration. 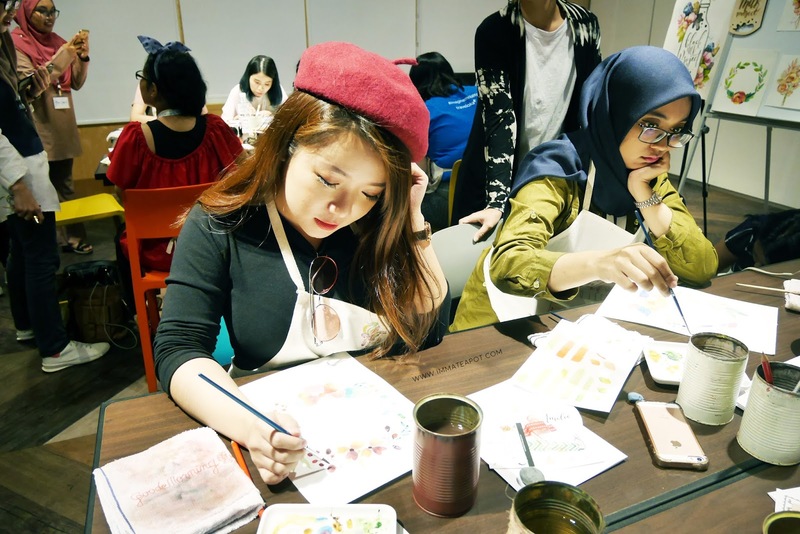 We joined the Floral Hoop Watercolor Workshop held by Black Milk Project, decided to be little chic artist, to match back our outfit- the red beret haha! It actually required so much skills in doing the gradient and blending action, have to be fast before the color dries up, have to put in adequate amount of water and all. More to learn but it was fun! 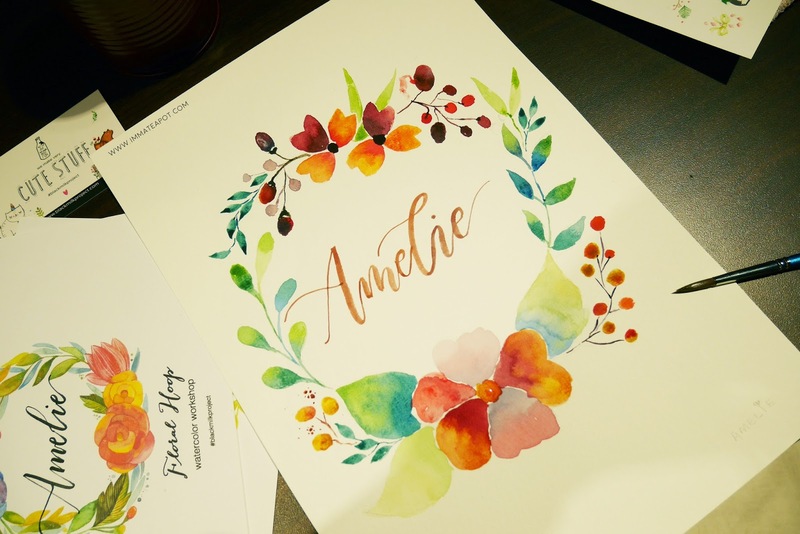 It somehow help one to develop a patience attitude, with some sort of "ZEN" meditation through painting. This was my artwork and postcard with our artwork on will be sent to each of us! How lovely! Let me know if you want my postcard hehe. 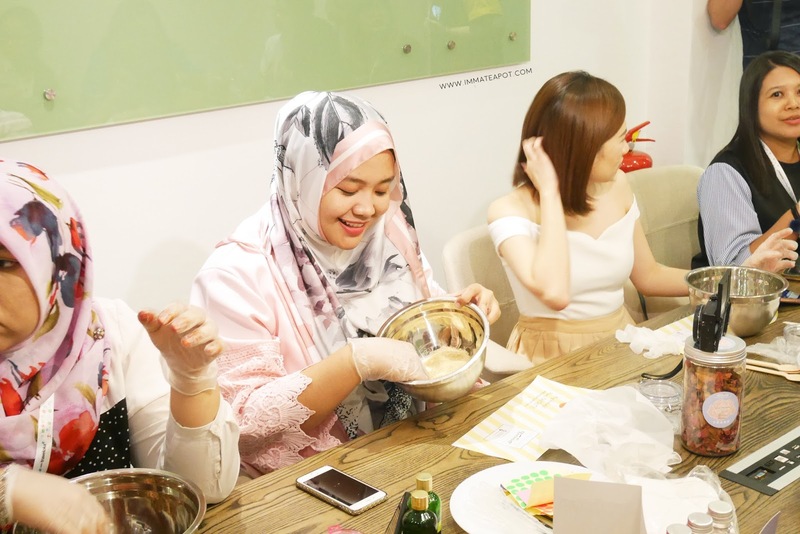 Beside watercolor workshop, there was colorful bath-bomb making workshop that you get to learn how to create a personalized bath-bomb as well as body scrub. 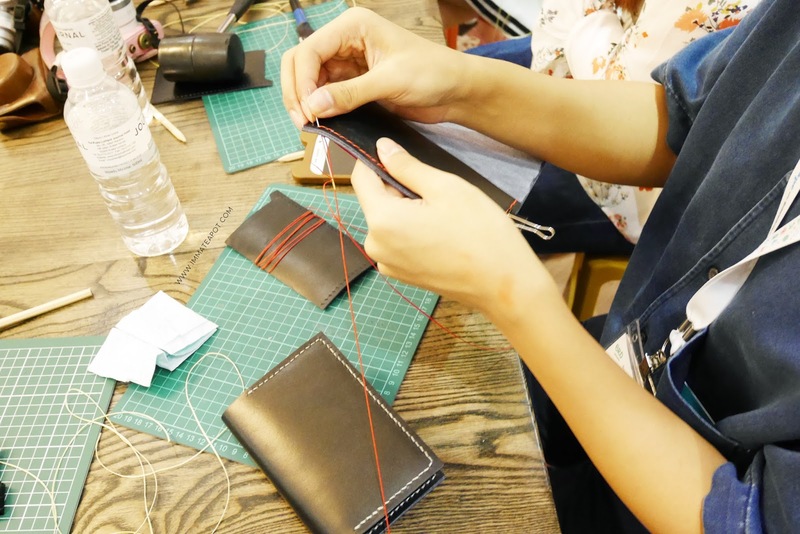 There was also passport holder workshop, where you can create your personalized passport holder! 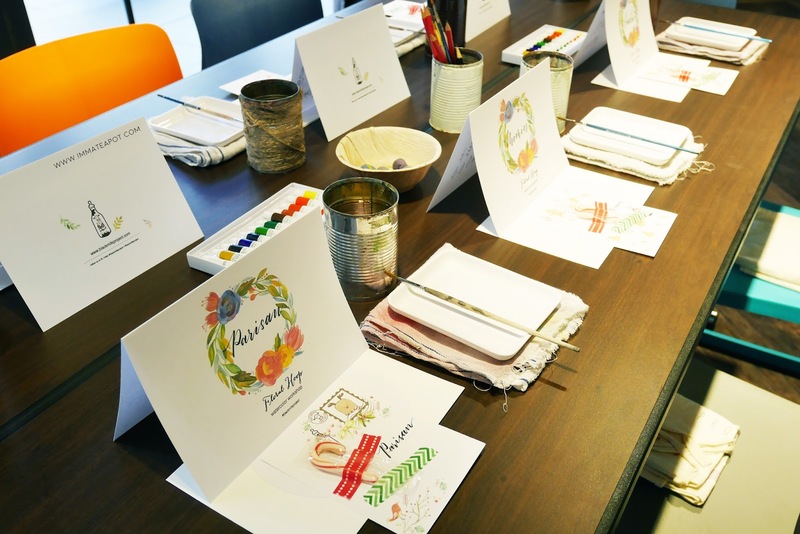 Last but not least, there was also a travel journal making workshop where you get to learn how to beautify your memories through drawing, stickers and colours! I did spend a splendid 2 days 1 night stay in the hotel, creating amazing memories with the bunch! I really appreciate how it ended my 2017, with a blast! I love the hotel so much as there are so many insta-worthy spots for pictures, yes, like very single corner, even outside the washroom LOL. You may just check out my instagram account (@immateapot) for more personal pictures. That's all about my Christmas Staycation with TheButterflyProject Community and Traveloka. Again, a big thank you to Tammy, Butterfly Project and Traveloka for the opportunity, as well as KL Journal Hotel for the wonderful stay! 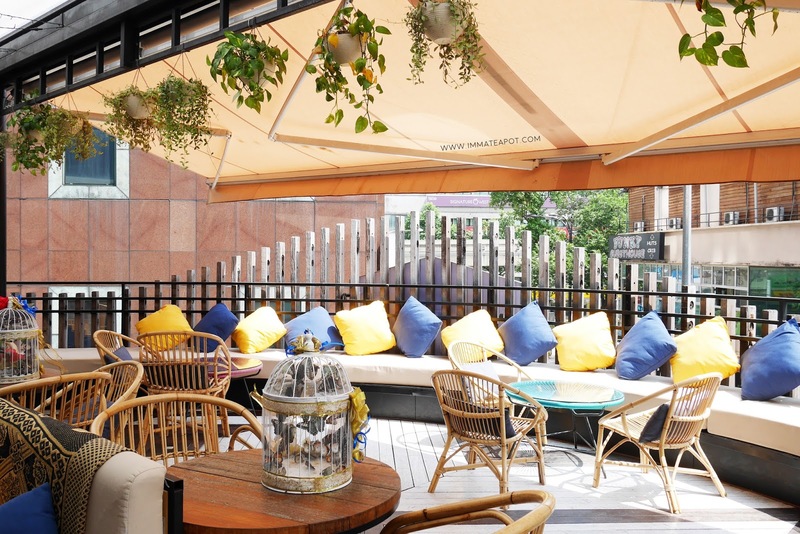 It is a nice terrace area where you can have the outside air. 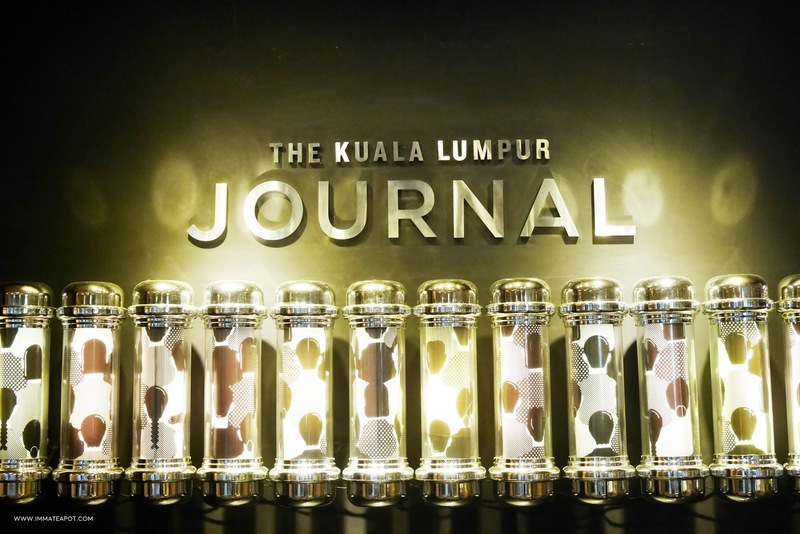 Love the KL Journal hotel concept. Nice photos with amazing activities. I bet you had a wonderful experience during the Butterfly gathering there. What nice shots you captured of the hotel. I hang out there pretty often and can recognise many of the spots. LOL Enjoyed reading your well-thought out article. 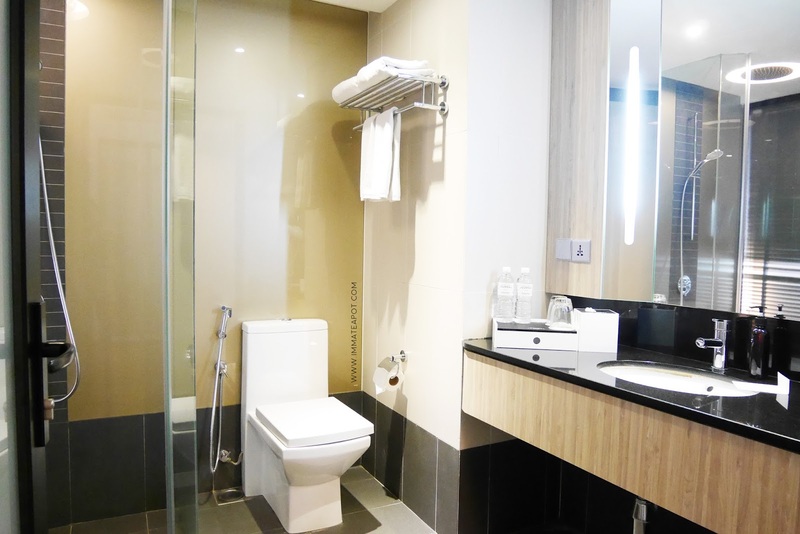 Glad you shared your personal review in KL Journal hotel. My friend recommend this to my=e for our family vacation. and I really like there facilities and the happy ambiance of this place. Love seeing those pictures. It must have been so much fun for the chosen butterflies. So many activities and chatting with friends. You ladies are lucky butterflies! The hotel looks fabulous and a perfect venue for your workshop. Tammy truly knows how to spoil her babies. Your pictures are stunning and the lighting was just beautiful. What camera are you using? I love all the photos!! 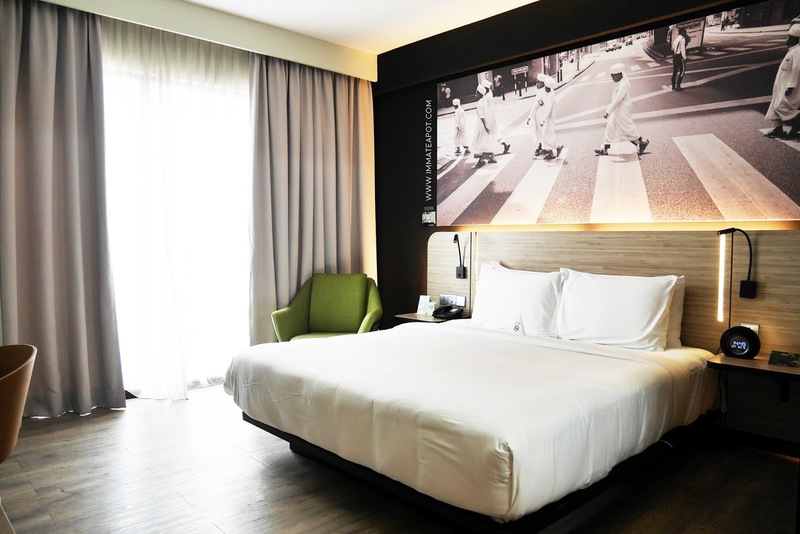 I also enjoy myself very much through out the short stay cation at KL Journal Hotel!